This question has come up occasionally at speaking engagements, from friends or from some of my children’s friends. What was a commercial photography studio? Simply put, a commercial photography studio provided professional photographic services to businesses, organizations and individuals. 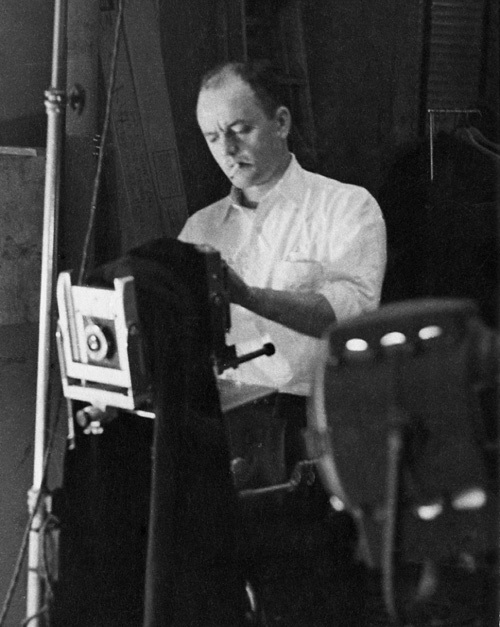 Most commercial studios included a professional photographer or two taking studio and on-location photographs and a lab technician developing and making prints. 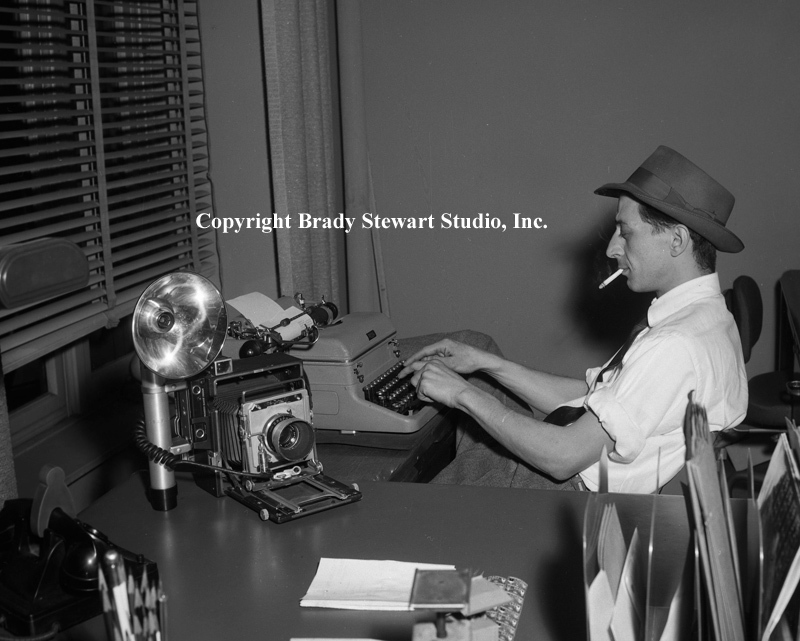 Brady Stewart Studio was quite different, they offered an extensive line of services geared to advertising agencies, art studios and major corporations. The services included; on-location photography, in-studio photography, film processing (negatives and transparencies), black and white & color prints, reproduction of an original print or transparency (copy negative), color, B&W and/or kodalith 35mm, 2 1/4 x 2 1/4 super, 3″x 4″ lantern slides and 8×10 vu-graphs submitted from art and type, print mounting, photostats for advertising layouts, passport and Public Relations photos. 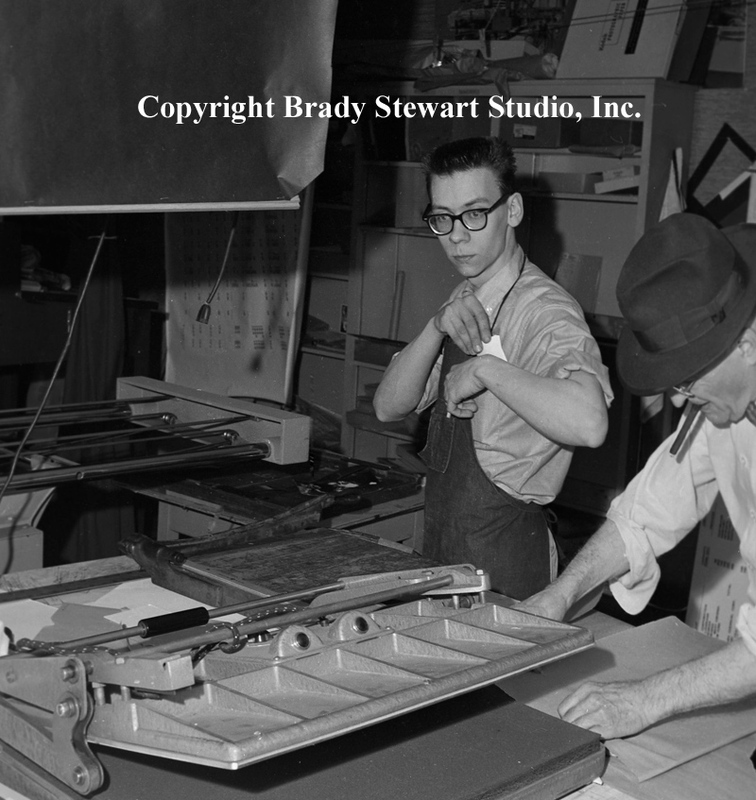 Robert Pavuchak getting ready to trim prints while Brady Stewart Sr is preparing a print for mounting on cardboard. An important dynamic that drove the success of the commercial photographers was that 35mm personal cameras did not gain popularity until the mid 1960’s and there were no 1-hour photo labs to process film and make prints. So if you wanted quality photographic services, you went to a professional photographer. 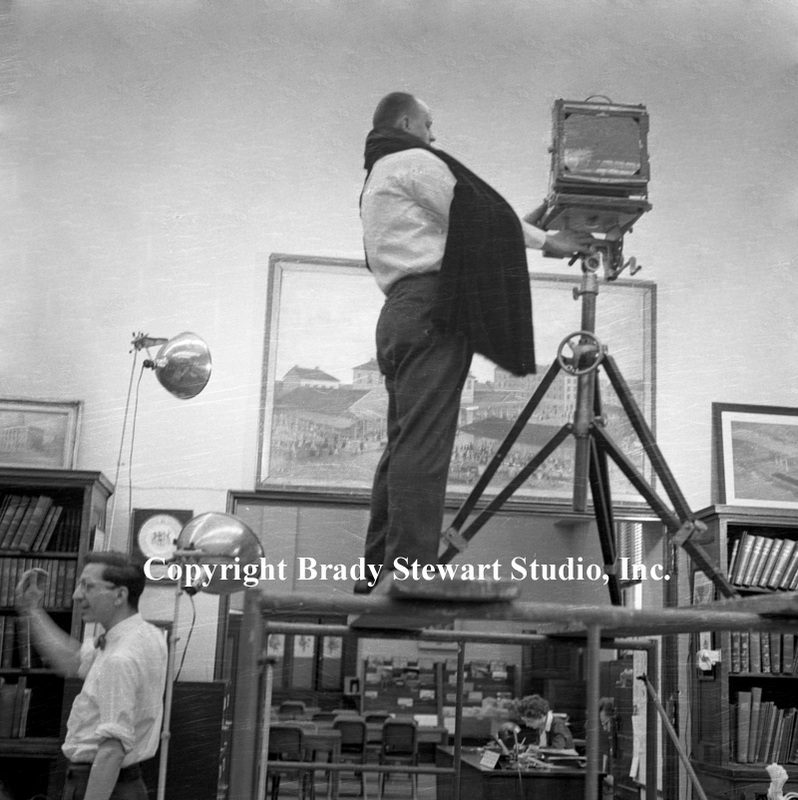 During this time, Brady Stewart Studio was the largest commercial photography studio in western Pennsylvania. The studio contracted business from the largest corporations, advertising agencies, architects, art studios, non-profit organization and small businesses throughout the region. A short list of clients included; Ketchum McLeod and Grove Advertising, Lando Advertising, Walker Advertising, W Craig Chambers Advertising, Wasey Ruthranff & Ryan Advertising, Fuller Smith and Ross Advertising, Town Studios, Peter Muller & Munk, the Pennsylvania Railroad, Railway Express (forerunner of the Port Authority), Alcoa, Westinghouse, US Steel Corporation, Calgon, Pittsburgh Coke and Chemical, Swindell Dresser, H.K. Porter, Reed Smith, Shaw and McClay Attorneys, Richardson Gordon Architects, Ingram Boyd and Pratt Architects, Israel Bonds, Pittsburgh Regional Planning Association, Eiben and Irr department store, Andy Gamble Interior Design, Goodwill Industries, Salvation Army and many more. 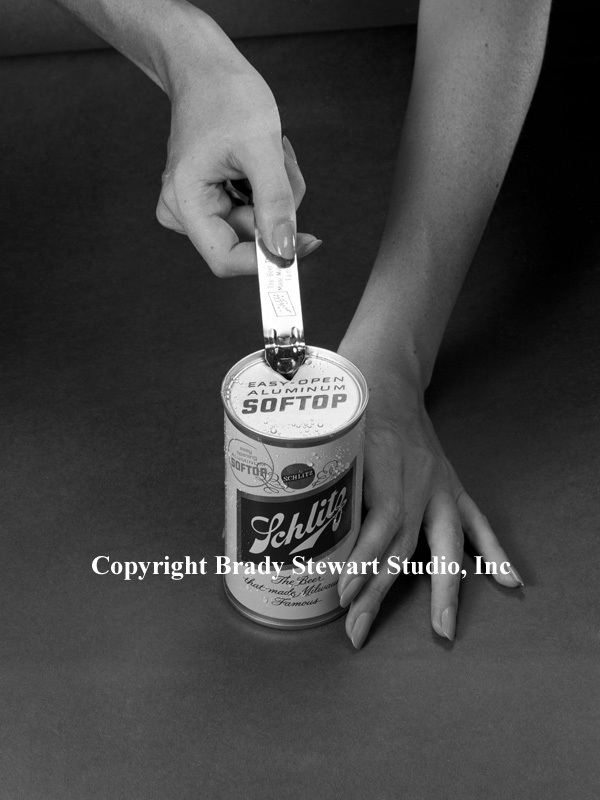 Up through the 1960’s, Brady Stewart Studio and other professional photographers primarily used large format cameras for assignments; 2 1/4 x 2 1/4, 4×5 and or 8/10. Based on the assignment and budget, the proper equipment and personnel were chosen to complete the assignment within the required time frame. The studio was designed and staffed to make sure all assignments were completed on time, within budget and with the highest quality, They earned the reputation as the “go to” studio for complex photographic assignments. And it helped that Brady Stewart Sr had over 50 years of photography experience in the darkroom and on-location; Brady Stewart Jr over 20 years and the rest of the staff a combined 20+ years of experience. It was a creative environment where the staff’s input was solicited and valued. I will try to give you a feel for what it was like at Brady Stewart Studio on any given day. You never knew what was going to come through the door or where the staff photographers would be needed that day. Office hours were 9:00 to 5:00 but staff was always there early and late nearly everyday; mainly due to trying to avoid rush hour traffic. One needs to remember that there were a lot more people commuting in and out of Pittsburgh during this time. The city population peaked in 1950 (677,000) and the region grew dramatically from 1950 (1.53M) to 1970 (1.85M). Lots of traffic and lots of road improvements during this time. The phone would start ringing at 9:00 with pick ups all over town. The last person hired would be the messenger boy while learning how to be a photographer’s assistant. Or if you were part of the family and needed money during the summer… Cathleen Brady Stewart, Brady Stewart III and Michael Stewart were all “messenger boys” during the 1960’s. Brady Stewart Sr loved to walk around town so he would break in the new messengers, he knew every inch of the city along with where every client was located. The daily work was laid out for each photographer when they arrived at the office. Most of the assignment were routine for regular clients but some would require a meeting to discuss the equipment and personnel needed for the job. There was always a lot of lab work to be done; film processing, contact sheets, copy negatives, black and white prints, head and shoulder shots for PR, and photostats for advertising layouts. The more professional work was done by Brady Stewart Jr Ross Catanza and Dave VanDeVeer which included; on-location assignments, studio set ups, 35mm slides and display transparencies. Complex location photography at manufacturing plants or at client headquarters was usually set up well in advance through an advertising agency, PR firm or art studio. Then you got the in-day rushes from the advertising agencies and art studios that “had to be done” immediately so they could meet client deadlines. These happened everyday and would always lead to someone having to work overtime to get them finished. I must say, it was usually my father that got stuck with most of the overtime and weekend work. For as long as I can remember, he was rarely home for dinner and always worked weekends… the downside of owning your own business. And having run the business after his death from 1980 to 1991, I usually made dinner, but routinely went back to finish up the work for the next morning. For the most part, our clients were great to work with and made the long hours bearable. One of our favorites was renown Pitt professor of Radiology, Dr. Lewis Etter. 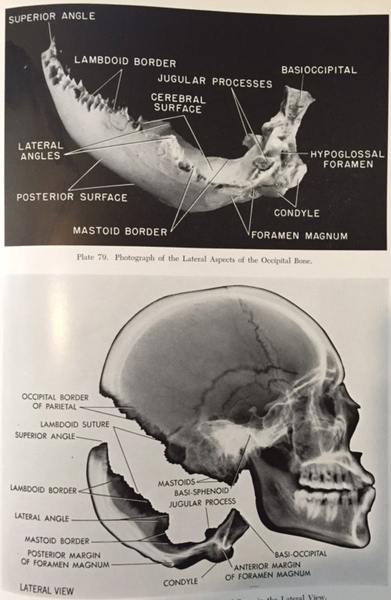 He used to come in with human skulls and skeletons to photograph for his landmark books about the skull. More about Dr. Etter in the next post. On another day, Dr Stuart from the University of Pittsburgh dental school called in a said she needed a “fresh sample” photographed immediately and she would be at the office in 20 minutes. Given that she was from the school of dentistry, they thought it would be teeth but were shocked when she arrived with the stomach lining of a cow! 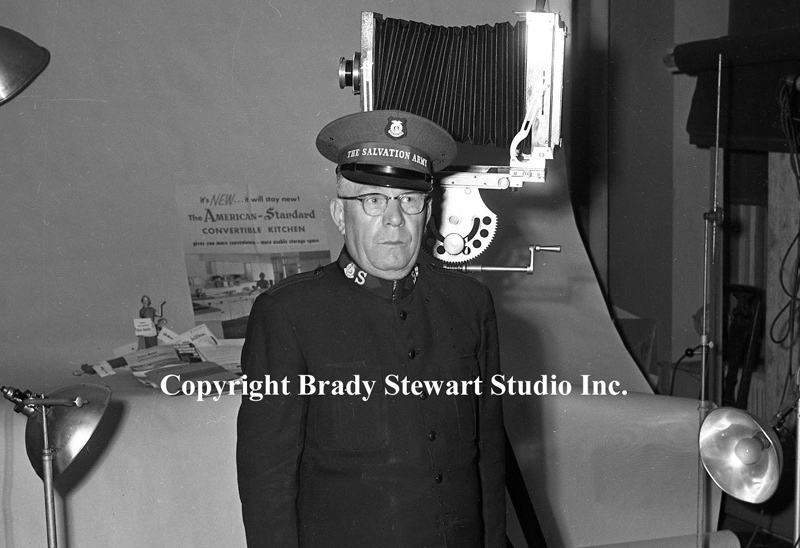 We were contract staff photographers for the Pennsylvania Railroad and Railway Express during the 1950’s and early 1960’s. They each had staff photographers but due to the sheer volume of work, they often needed us to photograph an accident scene or show up for an employee award ceremony. Both were large employers in Pittsburgh during this time.and gave us a lot of work. The 1950’s and 1960′ have been called by some the golden age of Pittsburgh Advertising. There were a large number of quality advertising agencies and art studios throughout the city. After all Pittsburgh was headquarters to a large number of Fortune 500 companies that all needed quality Advertising and Public Relations services. Depending on the project, the studio either worked directly for the corporation or through their advertising agency or art studio. 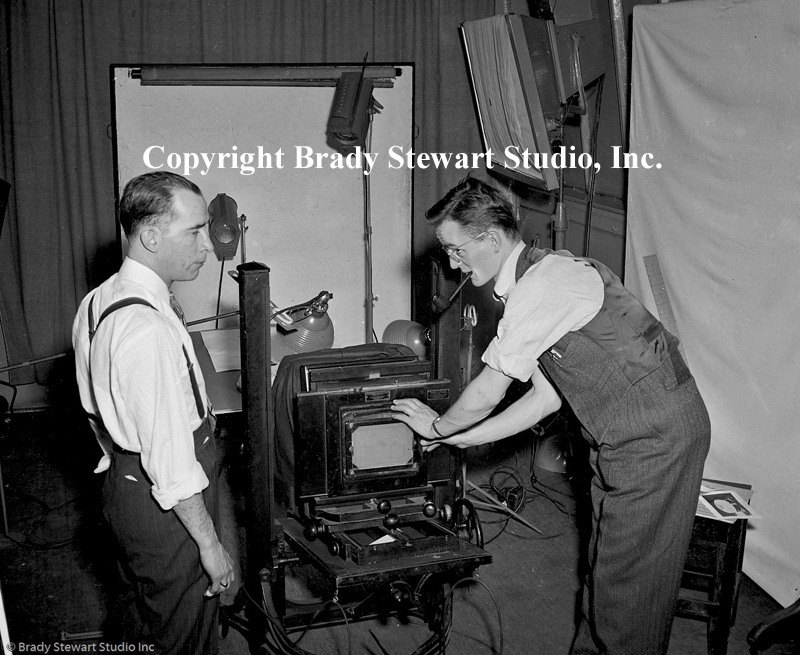 Every since the start of the business in 1912, Brady Stewart was interested in creating slides for presentations to family, friends and peers. From 1907 to 1912 he was director of Lantern Slides for the Photographic Section, the Academy of Science and Art of Pittsburgh (today the Pittsburgh Photo Club). 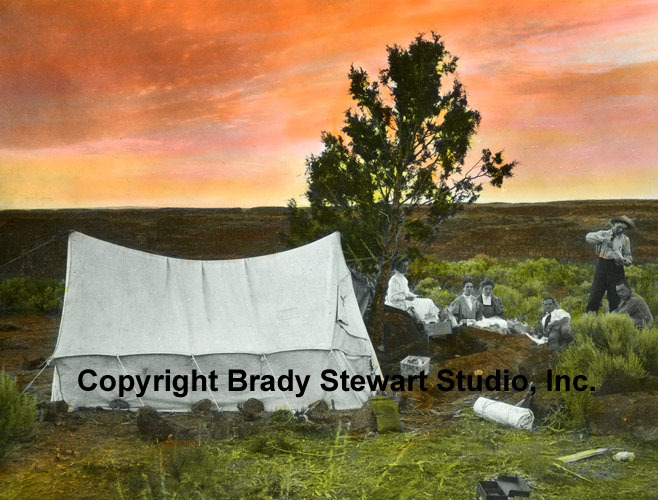 He created beautiful hand-colored slides of his travels to Idaho and other favorite scenes from his early life. 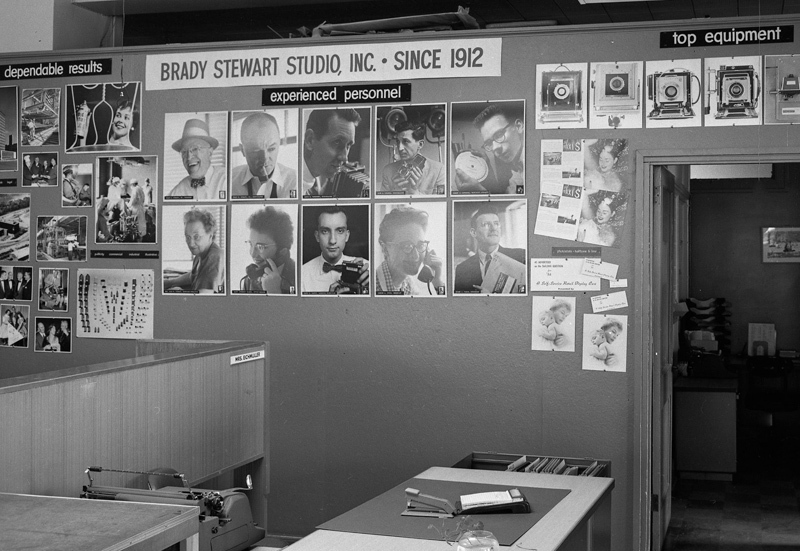 He carried that passion forward to Brady Stewart Studio where from 1950 to 1991, the studio was best known for creating any kind of slide in any format (35mm-8×10 vu-graphs) and any film type (ektachrome, kodalith, B&W, diazochrome) for any presentation environment. 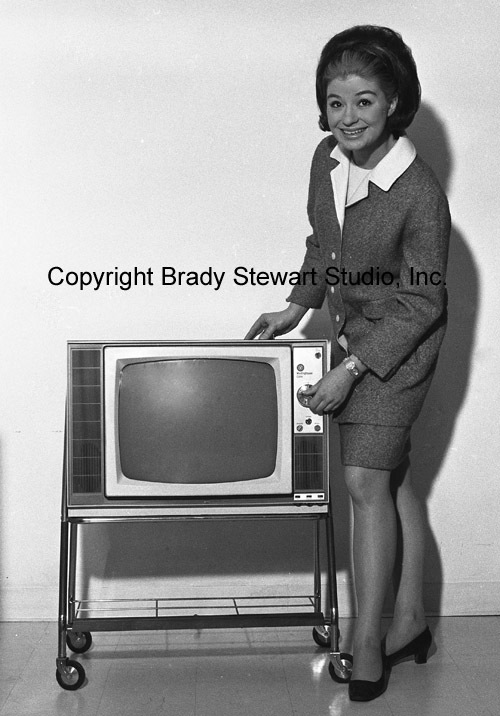 With the advent of television, advertising agencies needed slides formatted to project well on a television screen. The studio created grids to fit inside 35mm. cameras and also added a grid inside a light source to project on the table so the type and graphic fit perfectly within the TV area. And with the introduction of 35mm Ektachrome film in 1955, the studio’s most consistent work was creating 35mm. color slides of advertising and artwork for client approvals and business presentations. 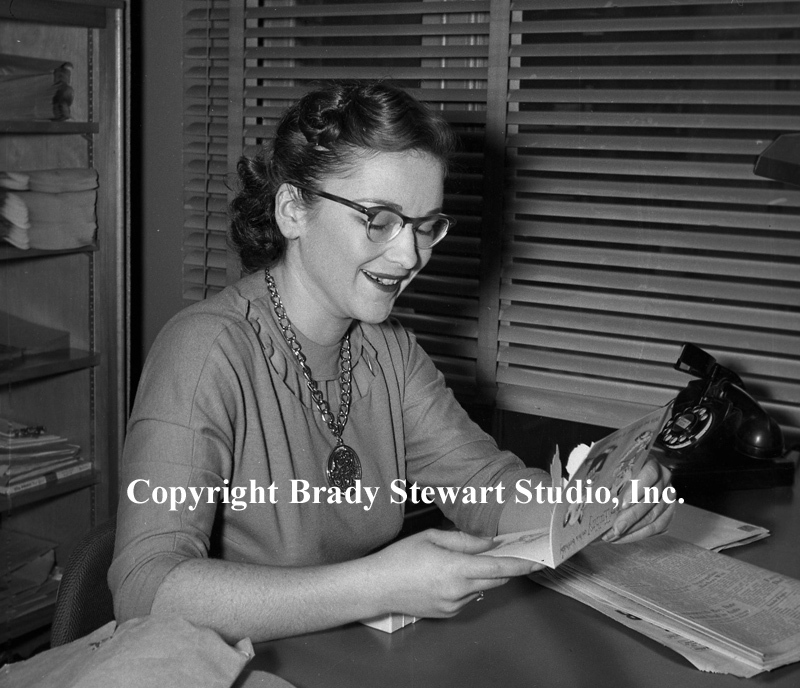 Brady Stewart Studio offices were located at 725 Liberty Avenue in downtown Pittsburgh from 1952 to 1966. It was a centralized location to get to most of their larger accounts and easy access in and out-of-town. My favorite lunch spot around the office were The Brass Rail, Palmer’s Restaurant, and the Atlantic Grill… and we can’t forget DImling’s Candies next door! There were also good lunch counters at Sun Drugs and G.C. Murphy’s. The street car (trolley) stopped right out front at Max Azen’s Furs so it was easy for us to get in and out-of-town traveling to the South Hills. And we got all of our sporting goods right across the street at Eiben and Irr Department Store. It was a great place to visit and look around at all the new stuff. 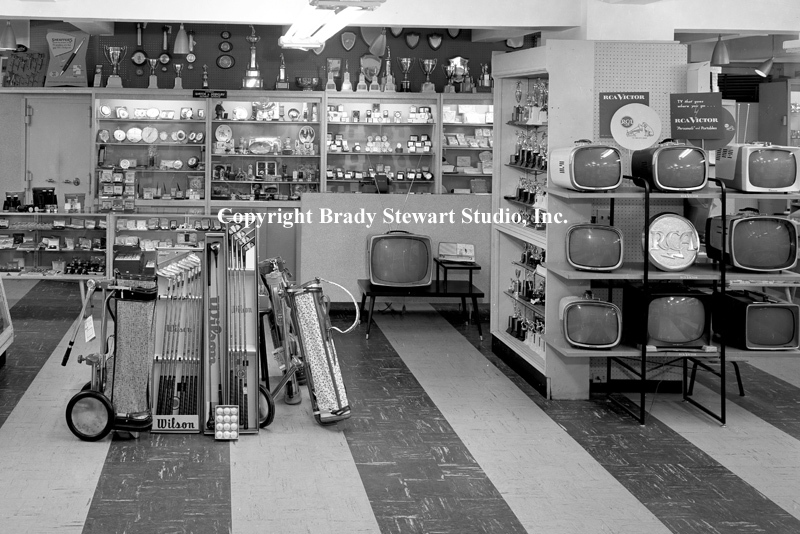 Pittsburgh PA: New Wilson Golf clubs and RCA Color Televisions for sale at Eiben and Irr Department Store – 1958. After Brady Stewart passed away in 1965, the studio moved to the Empire Building next to the Jenkins Arcade. It was a practical move since Ketchum McLeod and Grove had moved to Gateway Center 4 a few years earlier; they were the studio’s largest account. The business started to change in the mid-1960’s and a number of the professional photographic services were no longer exclusive to the commercial photographic studio. There were a lot of new photographers that only shot location photography and used photographic laboratories to process and make prints. The Kodak Photographic labs took off during the 1960’s due to the dramatic increase in the use of 35mm cameras. Advertising agencies and art studios purchased their own photostat equipment so a lot of the “steady” work was gone. The studio changed with the times and downsized to match the daily workflow. Ross Catanza joined the Pittsburgh Post Gazette and had a long award-winning career. 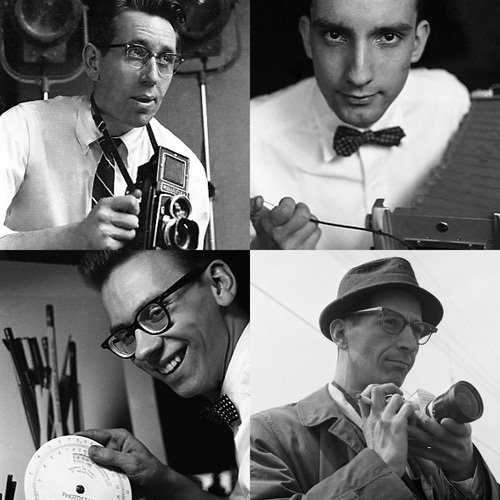 Robert Pavuchak joined the Pittsburgh Press and also had a long and award-winning career. Dave VanDeVeer left in 1968 to open his own successful commercial photography business. And finally James Garvey left for a new calling, he joined the Catholic Church as a priest. For the next 25 years, the focus was on studio photographic services that included; presentation slides and vu-graphs, studio set-up photography, darkroom film services and prints, with some location photography mixed in. 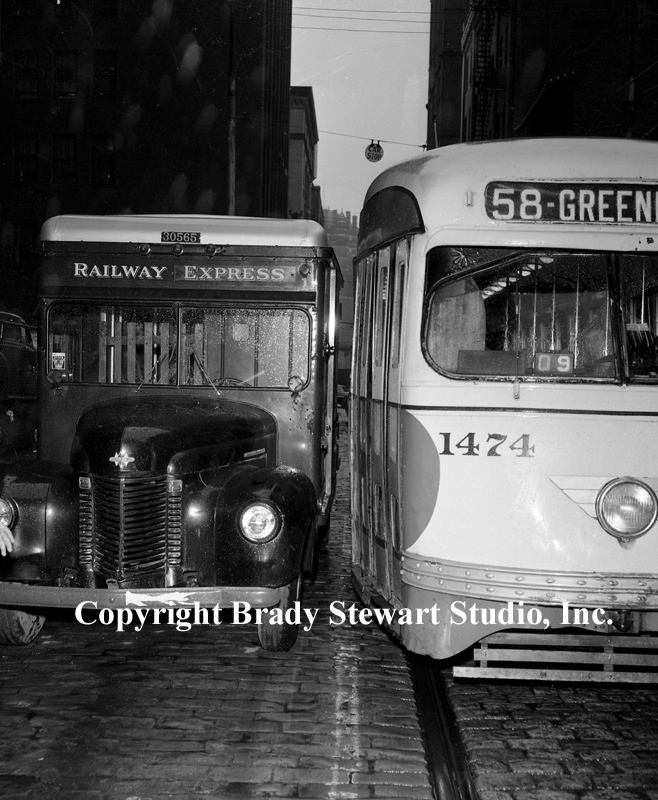 You can view more of the photography work from 1950 to 1970 on the web site; http://bradystewartphoto.photoshelter.com/ (Living in Western Pennsylvania 1950 to 1960 and 1960 to 1970). We will be digitizing more of the advertising work in the upcoming months. 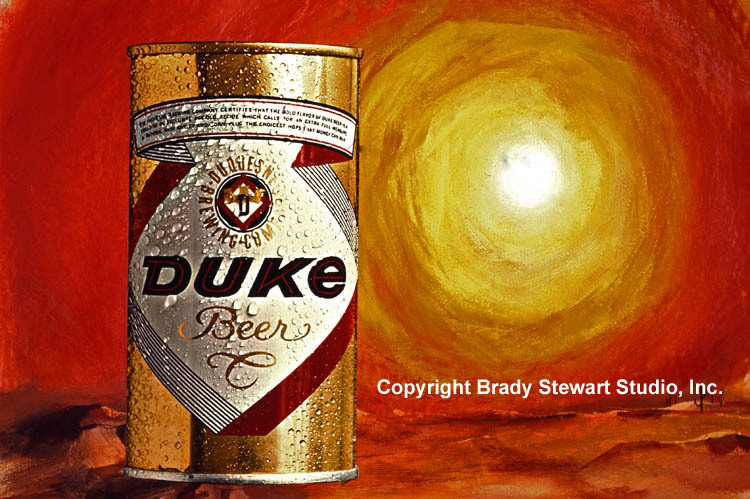 The New Schlitz Aluminum Softop Beer Can – 1962. A reminder that new images were added to the web site and they can be found at http://bradystewartphoto.photoshelter.com/gallery-list. Gallery: Living In Western Pennsylvania 1950 – 1960 AND 1960-1970. We also created a new Gallery “April 2015 New Images”. And all the images online are for sale and the proceeds are used to digitize and identify more prints and negatives from the archives.